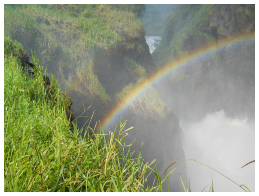 Kilimanjaro straddling the land boarder between Tanzania to the south and Kenya to the north, Kilimanjaro is one of Nature’s most stunning artworks. 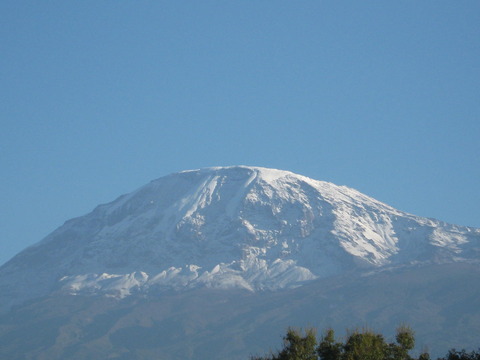 At 19,341 ft (5,895 m) above sea level Kilimanjaro is the summit of Africa and the World’s tallest free standing mountain. A major focus of world tourism, for years the Kilimanjaro has been loosing is glorious snowcap that on moonlit nights bathes for miles the entire neighborhood in neon lights. Lately magically the mountain’s snowcaps seem to be on the rebound as these photos show. How long it will last! One night as I lay in my bed reading, a text message arrived from John Otim that read: Kamara write 1000 words on Memories of a Nigerian university campus. For many years Otim and I lived and worked in Northern Nigeria at the Ahmadu Bello University in the city of Zaria located in the north central savannah. By the end of second decade of the twentieth century missionary education in Northern Uganda was well under way. This was especially so in the Acholi Sub Region. Two missionary bodies were engaged in opening up educational space throughout Northern Uganda, one Roman Catholic, and the other Anglican Protestantism. The education system they set in motion was within the circumstances and the limitations of the time, a model any country would have been proud of. You couldn’t mistake the look of surprise in the new student reporting to the Ahmadu Bello University for the first time at the beginning of the new school year. As everyone in Nigeria knows this is the period when the North-East wind blows and the land is drab and grey. Now however, once through the gates of the Ahmadu Bello the new student discovers an entirely new world. Whereas it is dry and dusty outside the gates, within the campus, the eye meets well watered and lovingly tended lawns, shrubs and parklands. Here the air feels different. For hours they trekked for kilometers in a situation that brought them close to danger. Given what it was at the time in Northern Uganda, anyone could have shot them dead and that would be that. Once he had his own men proclaim him King of Scotland. The ruler of a small and backward country, he had no means to enforce such claims. But in the eyes of his men his claim gave him the appearance of a strong and fearless leader. With the General appearance was everything. No one understood the art of propaganda better. Location? A remote corner of a crowded market place, a lonely village road, or perhaps a deserted school yard on a Sunday afternoon; youth must and will always find a way. Now that they have and are there, they size each other up, they let their eyes speak for them. Like Muhammad Ali and Joe Frazier in the thriller in Manila they circle each other round and round. That’s Acholi love. The way it used to be. Before Kony and the Uganda People’s Defense Force, the UPDF, entered Acholi land and turned the world upside down. It seems every time that someone of note criticizes the policies of the Israeli government, that person - be he or she a Jew or Gentile - is instantly branded as an anti-Semite. In this way, the Israeli government immediately succeeds in shifting the discussion from its policies to vilifications of others. As a result, many public figures are fearful of speaking out. He was far from self effacing but he wasn’t pushy. He had no need to sell himself. His brains and his presence in a trim rugby form spoke for him. Ginyera Pinycwa, the long time academic and intellectual giant of Makerere University, who died of cancer on March 15th this year, aged 74 is best remembered for his book The Social and Political Thought of an African People, the Alur and the Jonam People.